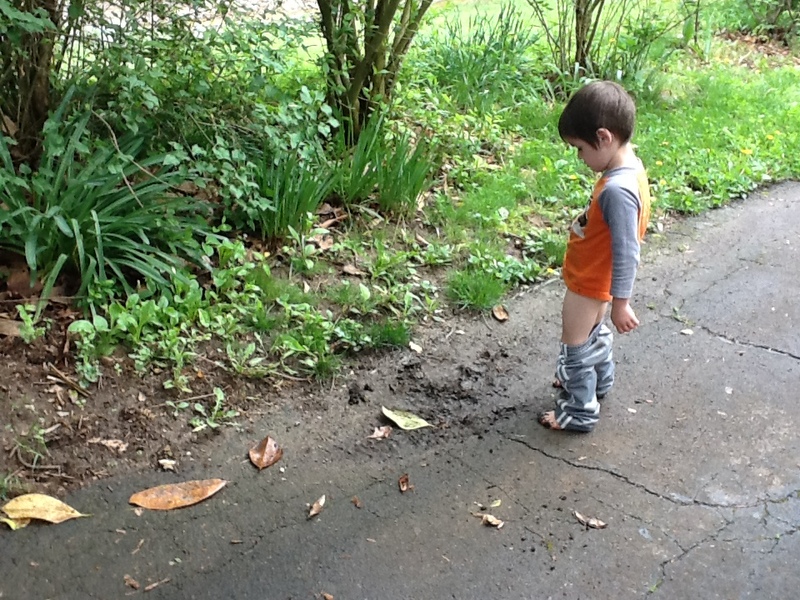 My son loves to pee outside. I’ve heard it’s a natural thing for boys to do. Lately, he has found it extra amusing to pee into puddles – and with all the rain we’ve had, there have been tons of puddles! On this particular day, the puddle dried up, leaving some mud. He immediately took his shoes off and stuck his feet right in the mud. After playing for a few minutes, he hopped up, like an idea stuck him. Like any good mom, I decided to take a picture. After he was done, I had to stop him from putting his feet back in the mud! He is so gross. Just a blog about my family.